Step 1 - Your Design Ideas: Make a list of the your specific needs or wants, include details such as metal type, ring size, stone size, stone type,ring size etc. Gather your drawings, images or other sources of inspiration. Step 2 - Submit a Quote Request: Complete the online "Request A Quote" form below and submit your images. Step 3 - Receive a Quote: Within 24 hours you will be contacted by a friendly Russian Brilliants® Design Consultant. After a conversation detailing your desired design elements, you will receive a price quote based on your requirements. Step 4 - CAD Image: Using the latest technology we will create a detailed 3D Computer Aided Design. 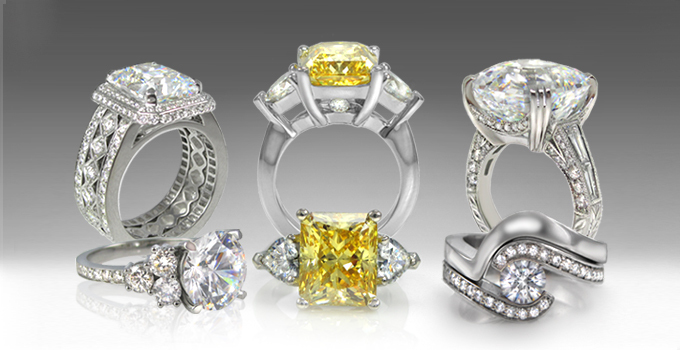 We take great pride in creating the finest quality custom designed jewelry available anywhere. 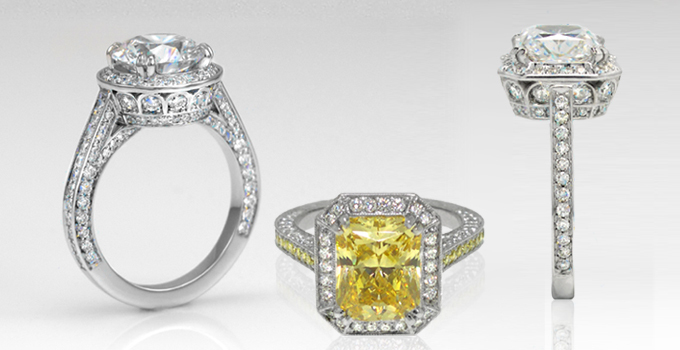 Following several conversations with one of our experienced design consultants we will prepare detailed computer generated images of your custom jewelry for your approval.